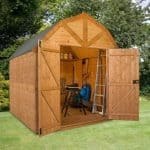 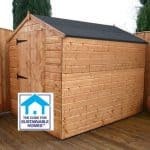 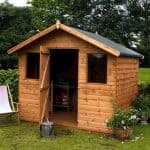 This 8 x 6 security shed is a unique structure and provides plenty of safety and security for your tools and equipment. 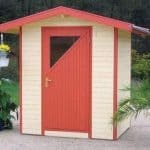 It has double doors that are large and generous, and these doors are topped by a roof that is made of solid board. 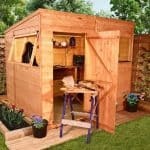 A single apex window provides to the shed. 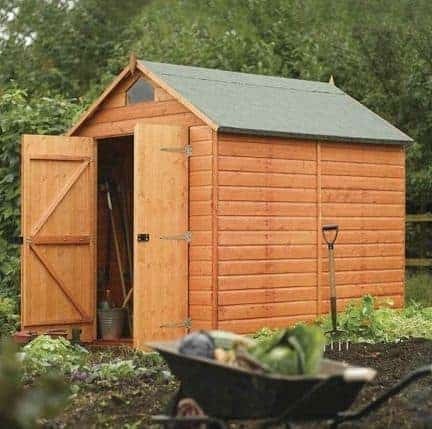 A tongue and groove floor adds to the quality of the building, and there is 12 mm shiplap cladding running the length of the shed. 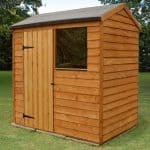 A 10-year warranty against rot is the finishing touch to this durable and very secure building.